View of the village of Grazalema. 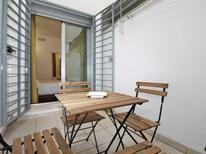 Here you will find a chic apartment for up to four people. Andalusia | The whitewashed house facades in the green hills of Andalusia form a characteristic picture of many towns. The most beautiful combine to form the so-called "Route of the White Towns". 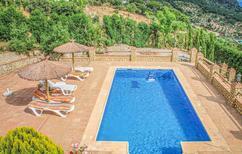 ​Andalusia | A large property and its own pool promise an enjoyable holiday. Enjoy the sun in the south of Spain in the garden of your finca. View of the beach from the balcony of a holiday apartment for four people in Sitio de Calahonda. 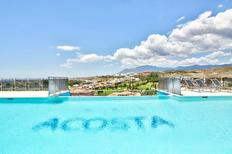 Costa del Sol | Spain’s “sunny coast” in Andalusia awaits you. 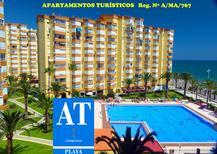 It is not far for you to access the nearest beach from these holiday homes and apartments. A holiday house in Andalusia costs on average USD 898 in the cheap travel period and USD 2,403 in the peak season per week. These details are of course in relation to the house and not per person as well as includes the obligatory additional charges. Andalusia holiday apartments are located in the heart of southern Spain in a region known for its iconic cities, quaint villages and many of the country’s best beaches. Andalusia is blessed with long months of sunshine and enviable destinations such as Marbella and Seville. Its diversity makes it worth coming back to and, with your own holiday apartment by the sea or in the middle of town, you can adapt your holiday to suit your particular tastes. Water sports, cycling, sunbathing and visiting historic monuments are just some of the activities you can look forward to. Andalusia is known for its superb coastlines and is also home to the former capital of Spain, Seville. The historic city of Seville is characterised by its magnificent palaces and cobbled streets. Marbella remains one of the country’s most popular destinations for sun lovers. 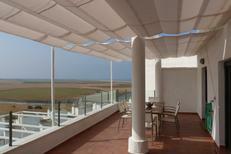 Andalusia holiday apartments can bring a range of benefits for any traveller. 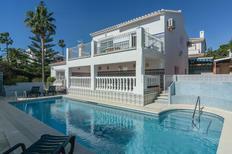 Marbella is a wonderful mix of cosmopolitan atmosphere and charming sights, such as Sohail Castle and superb beaches. 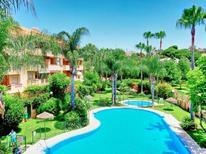 Of course, one of the best things about booking your own holiday apartment in Marbella is that you can also avoid the crowds if you prefer. Perhaps your own pool and terrace for taking a dip at any time of day and enjoying dinner al fresco sounds appealing? Seville is home to the royal palace Real Alcázar and you can capture the historic atmosphere with a tour in a horse-drawn carriage. When you book your own Andalusia holiday home, you can truly take advantage of everything this gorgeous region has to offer. Renting a finca by the sea will set the perfect stage for a romantic holiday, or an Andalusia holiday apartment in the centre of Cadiz or Cordoba will put you at the centre of charming towns where there are plenty of tapas restaurants and bars open until late. If you would like to bring your dog many holiday rentals allow you to do so and you can enjoy walking around the port and huge parks in Huelva, for example. Larger homes, such as villas with gardens and pools, are perfect for groups and families looking for plenty of space in Andalusia. Perhaps you will look for a property with mountain views at Almuñécar or opt for a home a stone’s throw from the beach at Málaga. Marbella’s diversity also makes it excellent for all age groups. You can go golfing, paragliding or even skiing at a nearby resort and the Funny Beach Marbella water park has go-karting and much more to keep children happy. Groups of friends seeing the sights and going out to drink in the evening will love central Andalusia holiday apartments in Seville, Cadiz and Granada. Spain has a proud history of culinary excellence and Andalusia is the perfect deatination for trying the southern specialities grown in this sun-drenched part of the Mediterranean. Tapas is popular as ever and is excellent for vegetarians or anyone who wants to choose exactly which ingredients to eat. Some Italian influences are present, such as gazpacho. Iberian ham, Spanish omelette with prawns and delicate pringá, a delicacy made with different meats, are some of the other local dishes to try. Having your own home away from home means you can also shop at the markets or supermarkets and bring goods home to cook yourself. There is plenty to choose from when it comes to booking your Andalusian apartment or house. Magnificent classical villas with pools are an ever-popular option, great for escaping to a sanctuary of privacy when you want to relax in the sun in peace. Fincas, or farmhouses, set in rolling hills with views of the sea are also a unique option in Spain. Apartments in the historic centres of cities like Marbella and Granada will place you close to the sea or national parks, for admiring the best of the Andalusian landscape. There is a lot about Andalusia to love, whether you are visiting its alluring beaches, vibrant cities or outstanding countryside. The Costa del Sol is one of the best places for beach holidays in the whole of Europe. The area includes Marbella and Torremolinos and just beyond is the popular resort town of Málaga. Many choose this area when they want to mix days on the beach with sightseeing and local culture. On the Costa Tropical, nestled between the Sierra Nevada and Sierras de Tejeda, Almijara y Alhama Natural Park, you will find a haven of tranquillity in Andalusia. This is an excellent choice if you appreciate a quieter beach trip. The Costa de la Luz is just south of Seville and is an excellent choice for a quiet country retreat or a beach home providing convenient access to the city for sightseeing or nights out. Costa de la Luz has got a very cosmopolitan feel but still retains an unmistakable Andalusian charm. Some of the many airport options in Andalusia include Málaga (AGP), Granada (GRX) and Seville (SVQ). From London, it takes five and a half hours to reach Málaga. From there, you will be very close to the centre of town and can escape into the country or transfer to other destinations across Andalusia. Málaga is also the closest airport to Marbella, taking 50 minutes by car, taxi or bus. This is also close to Gibraltar at the southern tip of Andalusia, which makes for an interesting stopping point at the beginning of a holiday before heading on to your chosen destination in Andalusia. Being in the far south of Spain it is no surprise that Andalusia enjoys some of the best weather in Europe. From as early as May to as late as October, temperatures stay in the 20s°C, with 30°C and higher common at the height of summer. Even in September it is often still warm enough to go for a dip in the Mediterranean and catch plenty of sunshine. Visiting in winter will mean fewer crowds, mild temperatures usually in the teens and great conditions for walking and cycling as you will avoid the more intense heat.